The following video was obtained at the end of last year in the canadian province of Ontario. The two men went at night to the forest and encounter something mysterious. Behind one of the trees was hiding strange bipedal creature, eyes, and teeth which gleamed white in the darkness. When our heroes approached the monster, he immediately ran away. Friends, frightened, jumped away from this place. 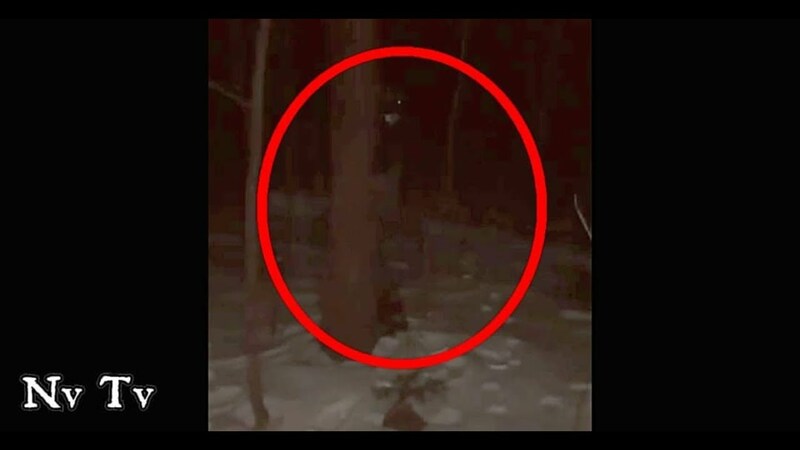 Fortunately, they managed to capture this forest creature on a camera phone. Mysterious movie managed to fly the many Internet resources devoted to cryptozoology and the paranormal. As you might guess, most users of these sites felt that the Canadians stumbled in the woods for Bigfoot. According to other commentators, it was some other monster, of which our world appears plenty of (not even know where). Others say it's about an alien from another planet. Well, the skeptics are convinced, if we are talking about the hoax, and in front of us just a man in a monkey suit (that's only at night, in the deep woods walking mummers without any hope that someone you will meet, but wild animals, something even more fantastic and unreal than even the abominable snowman). During slow motion playback on the "creature" you can see the shoes and pants. Most likely, this survey is a joke.